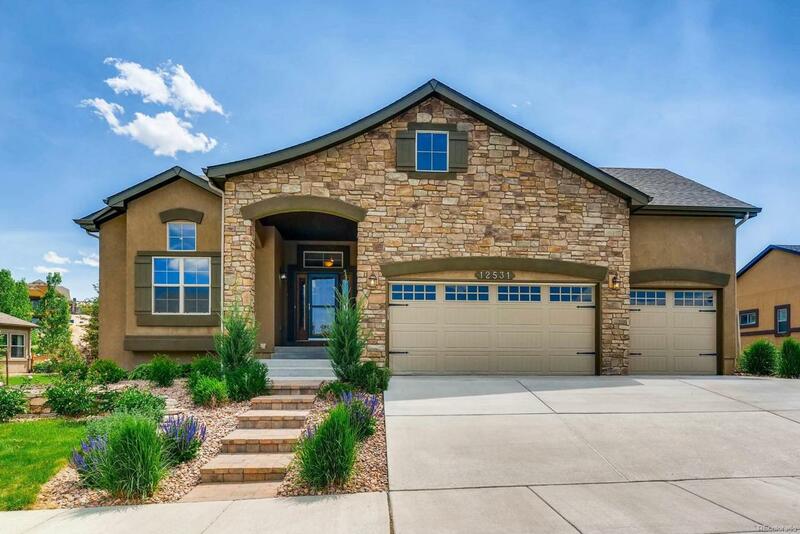 This incredible home wows you from the hand laid front walk throughout the home to the stunning back yard! Enter to gorgeous wood floors and a French door large office to your left, wrought iron pickets, large cozy fireplace and huge windows! The kitchen has beautiful granite, center island and gas down draft stove! Your dining area is oversized with walk out to the covered patio that goes for ever to an extended area for your summer fire pit entertainment! Main level master has private walk out to the covered patio, free standing tub, separate sinks with granite and a great walk in closet! Three bedrooms down stairs with a jack-n-jill bath and private sinks, large entertainment area and another bath. This outdoor space will wow you! Former model and one of the nicest houses in the area! Stone Crossing at Middle Creek has parks, ponds, walking trails and easy access to shopping, freeway!